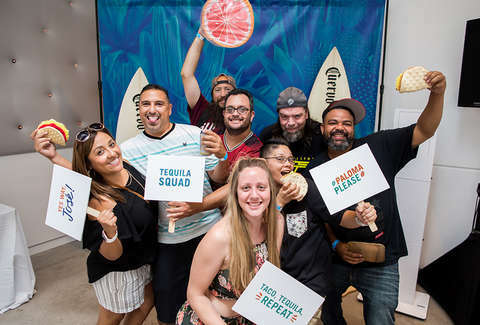 We just got back from the first Cuervo Tradicional Taco Takeover and Cocktail Competition in Phoenix and we can officially confirm that there’s no better food than tacos. 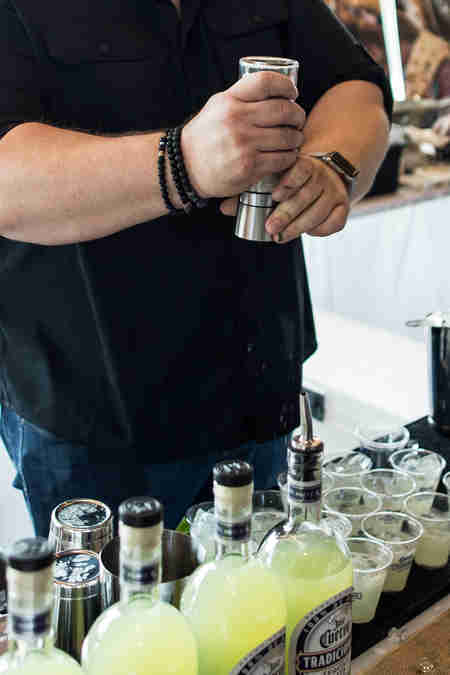 The Clayton House was completely transformed into a taco paradise and the city’s finest came out to fix us their very best taco variations and delicious drinks. 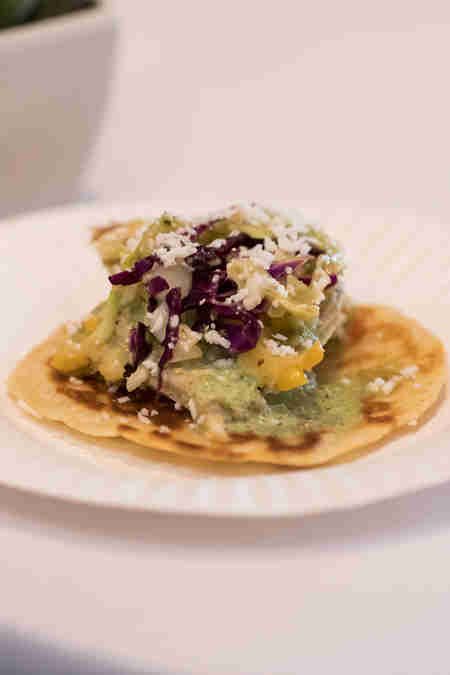 A fresh-pressed tortilla with sweet & spicy cornbread, roasted tomatillo chicken, honey vinaigrette slaw, jalapeño ranch, and cotija cheese. 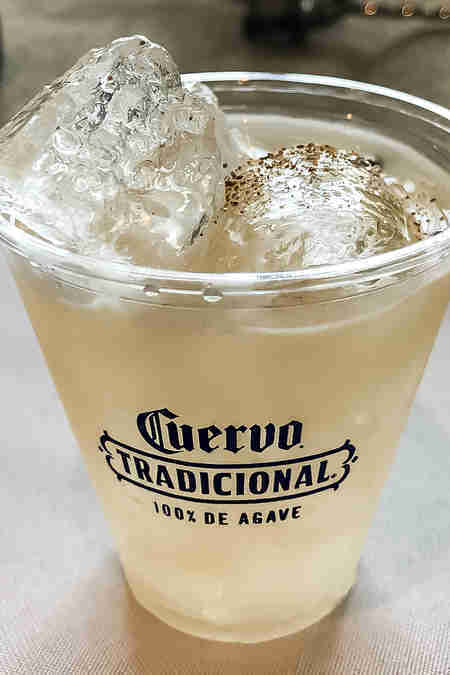 Their Osbom Oro Margarita (fresh-squeezed grapefruit juice, Jose Cuervo Tradicional tequila, and brown sugar simple syrup) had us pining for seconds. 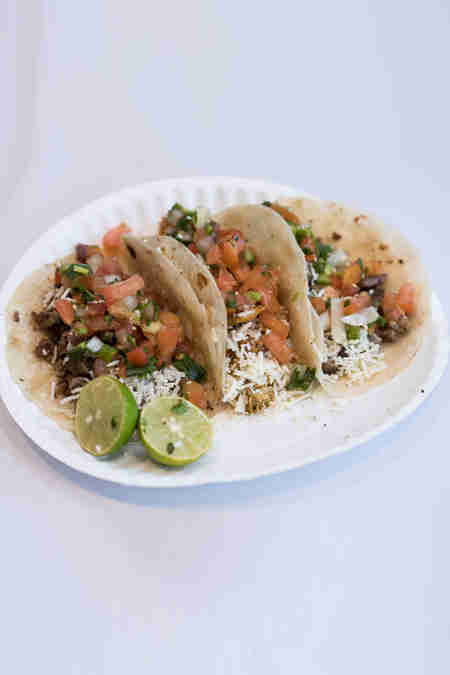 These tasty tacos were grilled on a mesquite charcoal grill and served on homemade corn or flour tortillas, then topped with cheese, homemade pico de gallo, red salsa, or guac. Check out this stunner served with tomatillo, house-made avocado salsa, onions, and cilantro. Their cocktail entry was the Piña Picante (jalapeño-infused Jose Cuervo Tradicional, Ancho Reyes chili liqueur, pineapple, and lime juice). House pickled onions, cabbage, cilantro, cotija, diced jalapeños, house-made salsa, and lime. Don’t forget their strawberry habanero margarita: fresh strawberries mixed with habanero-infused juice and Jose Cuervo Tradicional. 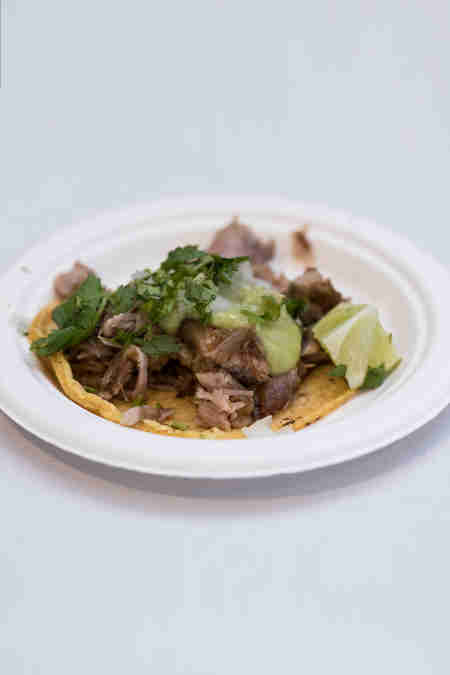 Perfectly tender short rib meat served on a fresh corn tortilla with diced white onion, cotija, and cilantro. Their cocktail, the Pulp Fiction, was a cross between a Paloma and a Mojito, and tasted like a sugared grapefruit. 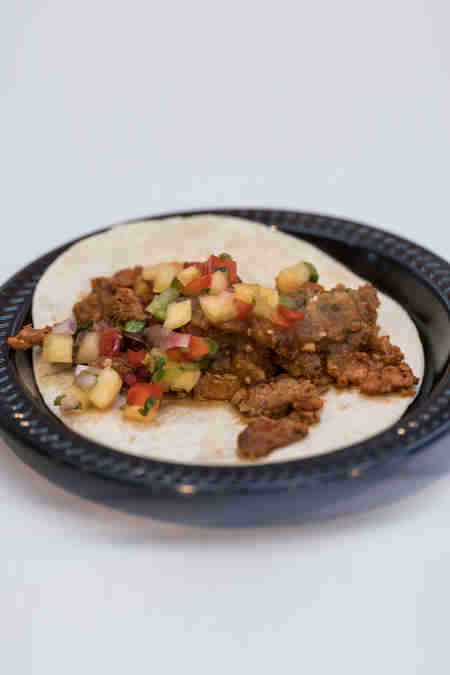 We loved this marinated pork topped with caramelized pineapple relish, pickled onion, cilantro, and fresh house-made salsa. On the side: the Sultry Sandia (Jose Cuervo Tradicional Reposado, watermelon syrup, lime juice, and fresh jalapeños). 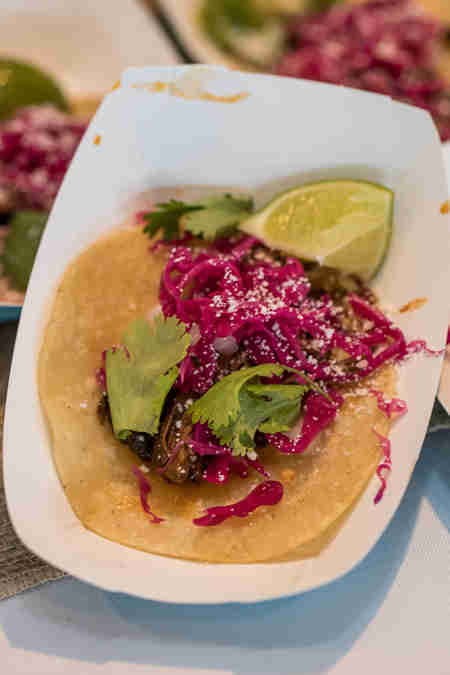 A decadent bite topped with marinated red onions, salsa verde, queso fresco, and lime. We can’t forget their Hawaiian Margarita: a true-blue beauty made of Jose Cuervo Blanco, passion fruit, pineapple, fresh lime juice, and Blue Curaçao with a sugar rim. Richard Allison’s cocktail entry was a thing of beauty. He blended Jose Cuervo Tradicional with watermelon, lime juice, jalapeño, mint, and chili-lime salt and garnished with a chili-lime-seasoned watermelon wedge. Tying in so many Mexican flavors, this cocktail featured Jose Cuervo Tradicional, heirloom tomato shrub, a sweet orgeat syrup, lemon juice, and AZ Bitters Lab Más Mole bitters. This cocktail had Jose Cuervo Tradicional, aperitif wine, honeydew cordial, fresh lime juice, sea salt, and mint. 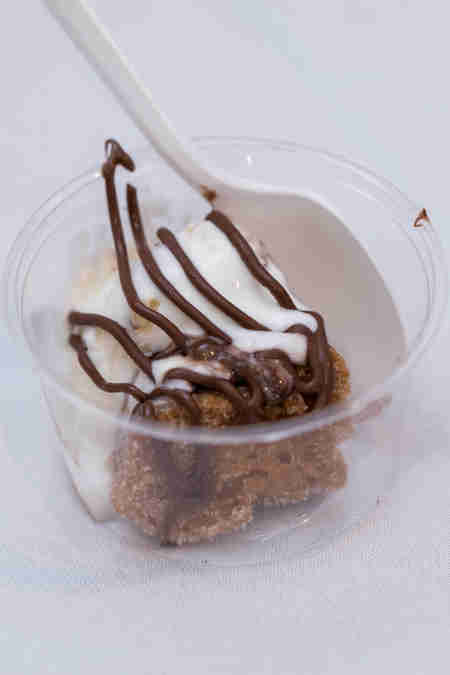 For guests who still had some room left after all the tacos, Latin-inspired desserts from churro gonutz and nitro live icecreamery were there to round out the meal. We wanted seconds of these fresh-made churro donuts with coconut ice cream topped with Nutella and hazelnuts. 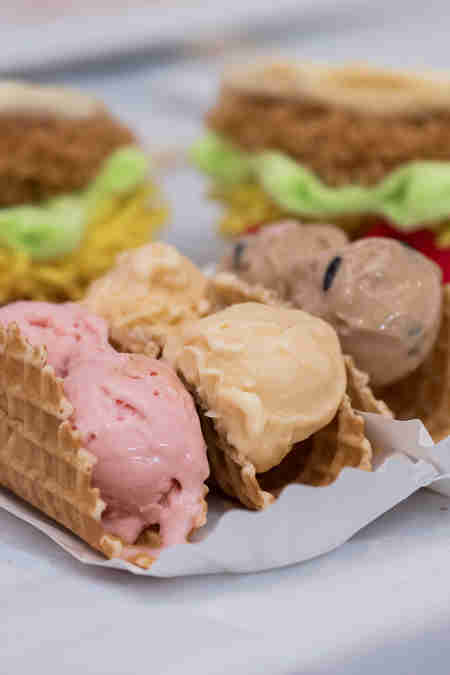 Served in a waffle cone were three incredible flavors of ice cream: Prickly Pear Margarita, Mexican Hot Chocolate, and Horchata. 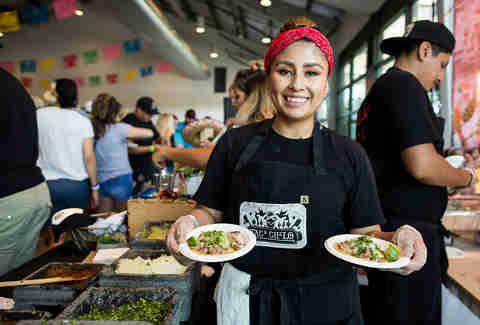 In the end, everyone voted for their favorites and the gadzooks festival taco was a bite above the rest, while maxton kennedy’s Heart of Jalisco cocktail was what everyone wanted to be sipping on all day. 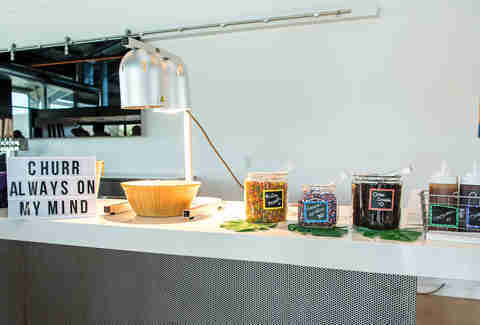 As if there wasn’t enough food already, the VIP experience came with a do-it-yourself churro bar and a nacho cheese fountain. First, guests got to take churros and layer them with caramel, chocolate sauce, Fruity Pebbles, sprinkles, and Oreo crumbles. 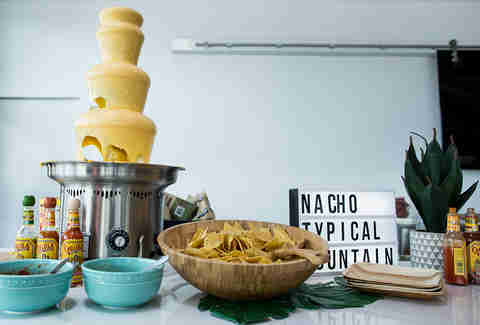 But since everyone loves queso, we knew this celebration couldn’t be complete without a nacho cheese fountain. Everyone loved piling up their plates with chips, cheese, and salsa. Also in VIP, our friends at Jose Cuervo served up their signature Paloma cocktail. 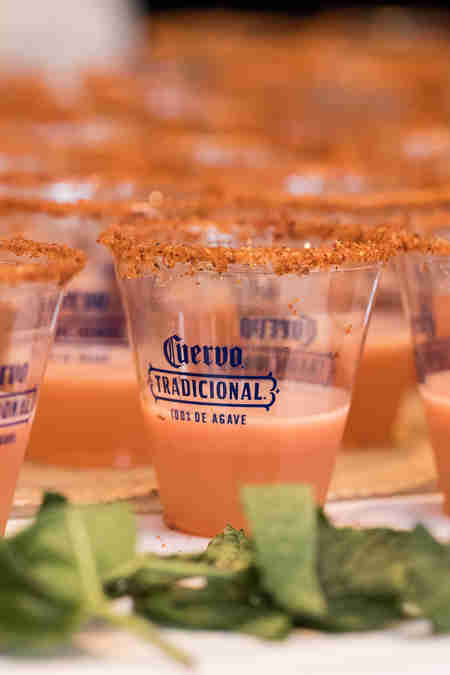 Their recipe -- if you feel like throwing a little Paloma party of your own -- uses grapefruit juice, Jose Cuervo Tradicional Silver, tonic, and a grapefruit wedge to garnish. 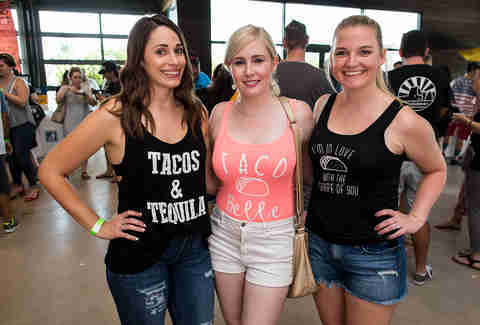 There was no shortage of entertainment at Phoenix’s Taco Takeover. 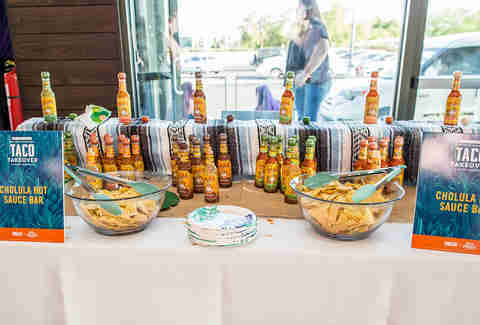 While DJ Mars was spinning, guests got to make their way around the stations -- including a Cholula hot sauce bar where they could sample six different kinds of the spicy goodness, including chili lime and chili garlic. 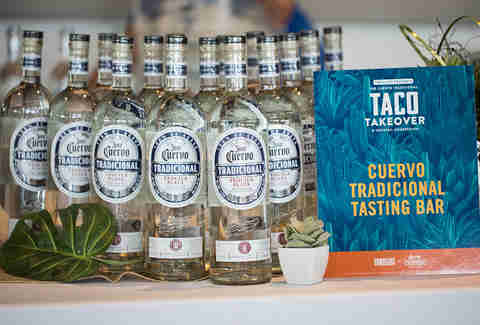 Over at the Cuervo Tradicional Tasting Bar, neat samplings of both Reposado and Plata Tequila were being poured. Finally, everyone got to make their own taco seasoning. 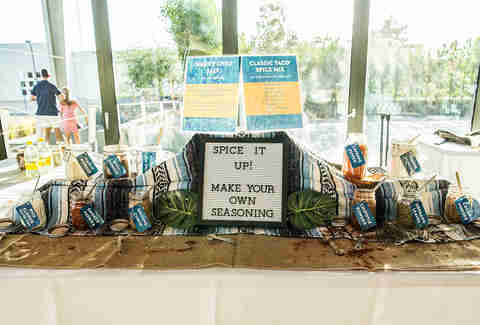 Spices like cayenne pepper, chili powder, garlic powder, and cumin were available for combining, and we suggested either a smoky chili salt or classic taco spice mix. Of course, the more creative you got, the better. Over 250 custom spice jars were made and taken home. 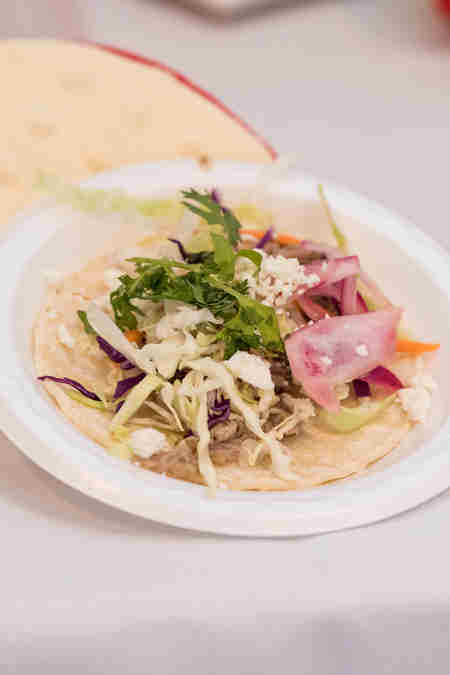 We see a lot of flavorful tacos in our guests’ futures. 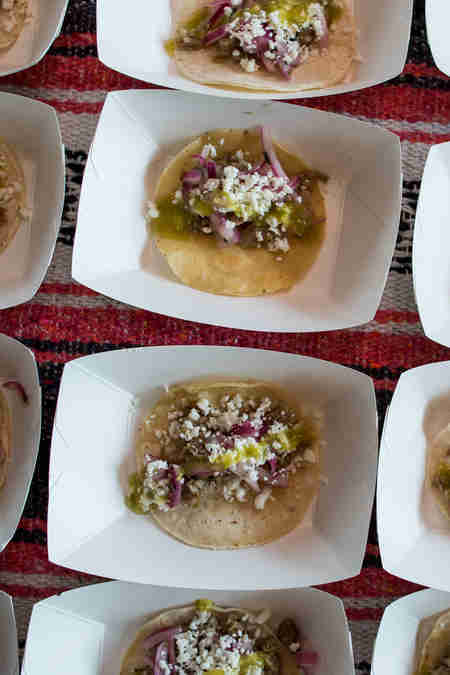 If you missed the Phoenix Taco Takeover, there’s no need to worry. Next time you’re in town, stop by any of the restaurants or a few more of our favorites: cien agaves (with two locations in Scottsdale) and old town gringos. 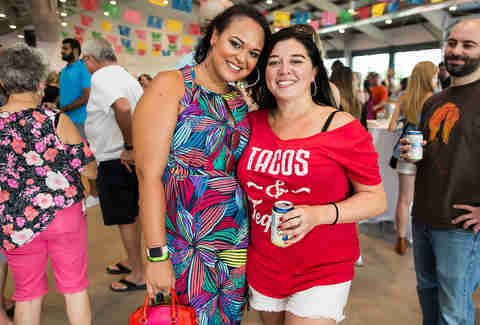 Or meet us at the next Taco Takeover. We’re having three more of these in Seattle, Miami, and Los Angeles. 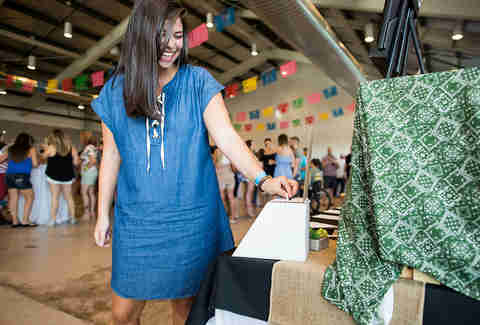 Head over to thetacotakeover.com for more info. In the meantime, check out more shots from the day. 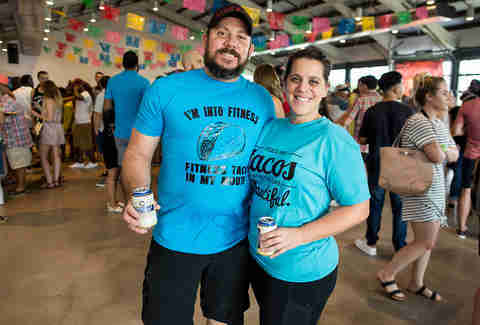 We couldn’t believe how many guests showed up in taco apparel! Taco ‘bout commitment!